Diabetes has become increasingly more common in recent decades, and its growing prevalence has placed a new focus on developing a safe and effective diabetic diet plan. Those afflicted with diabetes, whether Type 1 or Type 2, must be very careful about the foods that they eat, monitoring their blood sugar levels to ensure those levels don’t rise or fall into dangerous territory. It’s a well-known fact that obesity is a contributing factor in the development of Type 2 ( adult onset) diabetes. Obese or overweight individuals (am I overweight?) 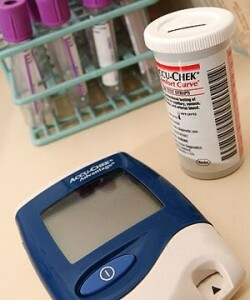 who develop Type 2 diabetes are advised to reduce their weight so as to minimize their risk of future complications. But since diabetics have special dietary requirements, it can be trickier to develop an effective diet plan that will work within the diet restrictions they are required to follow. Read on to discover some tips for creating your own diabetic plan that, with your doctor’s help and advice, will help you shed extra pounds and have you feeling healthier and looking better. According to the American Dietetic Association, individuals with diabetes can benefit greatly from undertaking a diabetic diet plan and losing weight. Losing just 10 to 15 pounds can have a significant effect; lowering blood sugar, reducing blood pressure, and promoting healthy cholesterol levels. Losing those few pounds can have additional benefits like increasing energy levels and instilling more confidence, leaving you with a positive attitude and the right mindset for taking care of your diabetes and living healthier. It’s clear that there are many benefits to losing weight for diabetics. Those looking to follow a diabetic diet plan should reduce their caloric intake as with any diet plan, but must be especially careful regarding carbohydrates. Since carbs affect blood sugar levels more than protein or fat, diabetics should choose their carb sources carefully: whole grains and vegetables are always preferable to the processed carbs that appear in such foods as white bread and candy, and the difference is especially profound for diabetics. Processed, simple carbs tend to cause large increases in blood sugar levels, which are dangerous for diabetics. 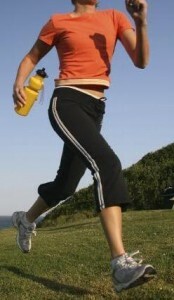 Exercise is an especially important activity for those following a diabetic diet plan to achieve weight loss. Since diabetics have to monitor their blood sugar levels and must eat if their blood sugar falls too low, they don’t have as much flexibility as non-diabetics when it comes to reducing food consumption. Exercise can help bridge the gap: by doing cardiovascular exercises such as running, swimming, or walking, diabetics can promote weight loss and will not have to reduce their caloric intake as much as non-diabetic dieters. In effect, doing cardio will increase the number of calories burned, so that diabetics don’t have to worry so much about reducing calories through dieting. This kind of exercise can have an effect on blood sugar levels, however, so diabetics should be sure to keep a snack handy while exercising in case their blood sugar levels drop too low. If you are diabetic and desire to lose weight, you can follow many of the same concepts that non-diabetic dieters follow. However, you will need to closely monitor your blood sugar levels, and always consult with a doctor before undertaking any diabetic diet plan. Your doctor can provide specific advice tailored for your individual diabetic situation, and can alert you to any potential pitfalls in following a diabetic diet plan. Click here for more great weight loss information, a great diabetic diet plan and instant access to the #1 weight loss plan on the Internet!